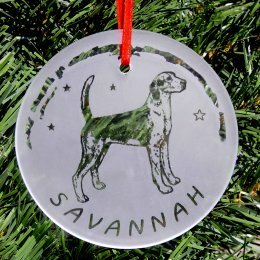 This ornament can be personalized with the dog's: Name and Design. 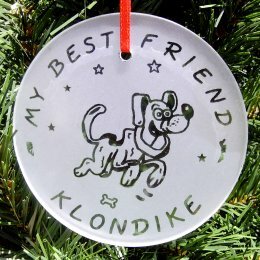 Note: These ornaments will have the dog design without the name of the breed above it. 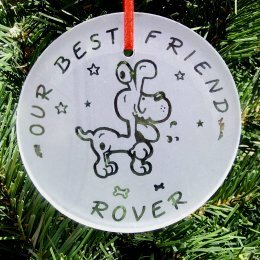 This ornament can be personalized with the dog's: Name and Sentiment.